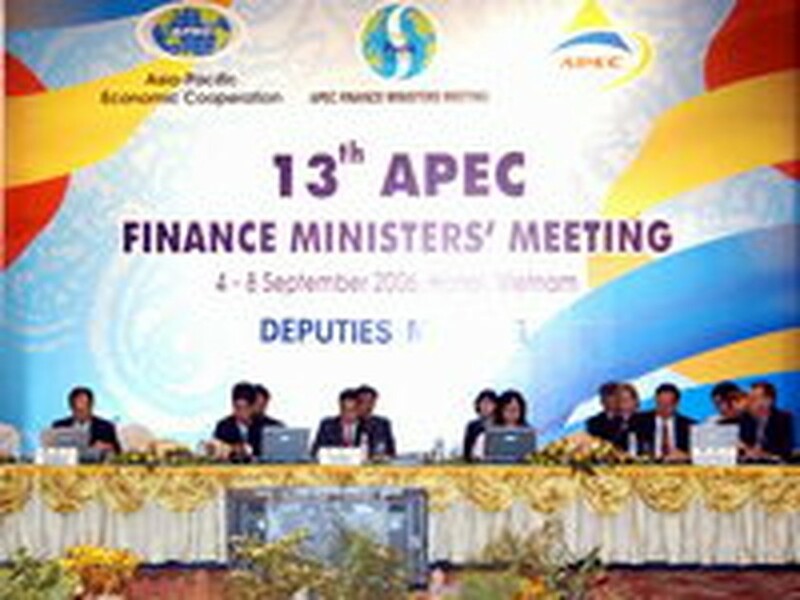 APEC Finance and Central Bank Deputies began a two-day meeting in Ha Noi on Sept. 5 to prepare for the upcoming 13 th APEC Finance Ministers’ Meeting (FMM-13), scheduled for Sept. 7-8. During the two-day meeting, the APEC Finance and Central Bank Deputies will discuss the two main themes of “promoting public finance efficiency and sustainability: towards stable and efficient revenue sources” and “financial sector reform to attract capital flows”. They will review the process of finance cooperation so far and consider some additional initiatives, as well as propose to the ministers the strategic initiatives for further improving the effectiveness of the process and contributing to the APEC Summit’s process. The delegates are also expected to review the nine initiatives on finance cooperation taken and implemented by the APEC member economies, to review the working agenda of such initiatives, and to endorse the draft Joint Statement of the FMM-13.